Lysychansk (Ukrainian: Лисича́нськ [lɪsɪˈtʃɑnʲsʲk]) Russian: Лисича́нск [lʲɪsʲɪˈtɕansk]) is a city in the Luhansk region of Ukraine. It is incorporated as a city of oblast significance and located on the high right bank of the Siverskyi Donets River, approximately 115 km from the oblast capital, Luhansk. Its population is approximately 99,889 (2017 est.). In 1952 Lysychansk became the regional center. The present borders of Lysychansk were finalized by the mid-1960s. In 1962 the city of Sievierodonetsk separated from Lysychansk and became its own independent city. In 1963 towns of Novodruzhesk and Pryvillia were included in the city limits of Lysychansk and became cities. In 1965 Lysychansk incorporated the cities of Verkhnie and Proletarsk. Now, the administration of Lysychansk Municipality includes the cities of Novodruzhesk and Pryvillia. Together with the cities of Sievierodonetsk, Rubizhne, Kreminna and the nearest towns, the Lysychansk area constitutes a major urban and industrial hub of the Donetsk coal basin area, with a population of about 353,000 (2009). Lysychansk is located in the North-Western part of the Luhansk region, 115 km from Luhansk, on the high right bank of the Siverskyi Donets River. The area is surrounded by large hills, ravines and valleys. 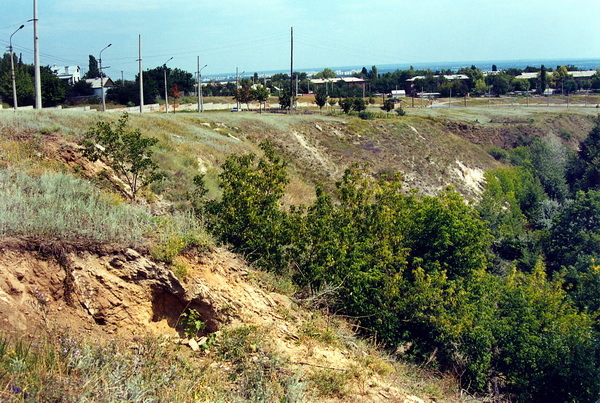 The city is situated on the northern spur of the Donets Ridge. This picturesque area was once called "Deer Mountain." Lysychansk lies in the continental climate of the steppe zone of Ukraine. Water resources stemming from here are one of the most important resources. Siverskyi Donets River is the main water artery of the Lysychansk and the whole region. The length of the Siverskyi Donets River within the city is 26.5 km. Verkhnia Bilenka River, a tributary of the Siverskyi Donets River, flows through the southern part of the city, the length of the river within the city is 7.7 km. Lysychansk has a humid continental climate (Dfb) according to the Köppen climate classification system. Summers are warm and sometimes humid with average high temperatures of 26–27 °C (78.8–80.6 °F) and lows of 14–15 °C (57.2–59 °F). Winters are relatively cold with average high temperatures of -1 °C (30.2 °F) and lows of −8 to -6 °C (17.6 to 21.2 °F). Spring and autumn are generally chilly to mild. The highest ever temperature recorded in the city was 41.0 °C (105.8 °F) on June 1984. The coldest temperature ever recorded in the city was −34.0 °C (−29.2 °F) on February 1954. Annual precipitation is 480 millimeters (18.9 in) with moderate rainfall throughout the year. Light snowfall mainly occurs from December through March, but snow cover does not usually remain for long. Source: Microsoft Corporation program "Weather"
The history of the Donetsk coal basin began in 1700 with the decree by Peter the Great to search for ore deposits, leading to the development of Lysychansk - "the cradle of Donbas." This type of coal mining lead to spoil tips. Previously existing settlements in the area around Lysychansk were completely destroyed by the Muscovy punitive expedition against the Bulavin Rebellion. After the suppression of the uprising the area was resettled with Voronove (founded by Khokhlov's Cossacks), Syrotyne (Popov's and Sirotin's Cossacks), Borivske (partly settled by former residents of the burned the Borovskaya Sloboda), Metiolkine (Metelnikov's Cossacks) and Smolianynove (Smolkin's Cossacks). During the 2014 pro-Russian conflict in Ukraine the town was captured early April 2014 by pro-Russian separatists. On 22 July 2014 Ukrainian Ukrinform reported that the separatists "massively leave Lysychansk" with "seized cars from the population and in parking lots;" Russian ITAR-TASS reported the same day that the separatists had "decided to leave the town in order to save the population and stop clashes." This was mainly because their defeat in the Siege of Sloviansk and the evacuation of Kramatorsk made holding the city untenable. The next day heavy fighting continued around the town while the Ukrainian National Guard and the Ukrainian army released a statement that stated "the military plan to free Lysychansk, Luhansk region, from terrorist groups in the near future." On 24 July 2014 the Ukrainian army claimed its troops had entered Lysychansk and its Col. Andriy Lysenko stated "We will take the town, and the road will be open to Horlivka, then Donetsk." On 25 July 2014, Ukrainian forces secured the city from the pro-Russian separatists. As of 1 January 2014[update] the population of Lyscychansk was 103,459. According to the 2001 Census the population of the city proper was 115,229 people, while the population of the total area governed by the city council was 133,258 people. When Lysychansk was a city in the Soviet Union it was among the biggest industrial centres in Luhansk region. It kept this status long after Ukraine became independent in 1991. But since 2010 most major plants have been closed leading to massive lay-offs. The city and the surrounding area has 5 coal mines owned by Lysychanskvuhillia. Production of coal reserves amount to 179.7 million tons. Production capacity - 2,8 million tons of coal per year. "Кристалл", "Донбасс", "Лимон", "Октал", "Морозко плаза". Television and Radio Company "Акцент"
Educational Complex School I-II levels - Lyceum "Harant"
Fox Beam - "the cradle of Donbas." National History Museum and the Polovtsian stone images (center, Lenin). Monument to the first mine in the Donbas Region. Monument Rudoznavtsiu Gregory Kapustin (the central market). Monument to Marshal of the Soviet Union Kliment Voroshilov (District Pereizna). House-Museum of Marshal of the Soviet Union Kliment Voroshilov (St.Pereizna, the former switch tower) - destroyed. T34 Tank - a monument to the defenders and liberators of Lysychansk. Monument Lysychanam - pilots of the WWII (District RTI, on a former airfield). Monument to the Ukrainian poet Volodymyr Sosiura (Glass District, Square at DC). A large number of buses run to and from Lysychansk as well as within the city. Most of the buses running in and out of the city stop running after 6 pm. №101: Central Market - mine "Chornomorka"
From the city centre the railway station can be reached by foot, down Malinowski Street, starting from the Central Market (15-20 minute walk) or by bus "Lysychansk — Sievierodonetsk." The town has three railway stations: Nasvitevych, Pereizna, Volcheiarska, as well as 956th km (stop is for diesel commuter trains). Almost all transit distance trains stop at Stations Pereizna and Volcheiarska, allowing residents of Southern Lysychansk not to be dependent on the central railway station. Trains running through Lysychansk allow access to all of Ukraine as well as run to Russian Federation and Belarus. Regular bus service is available to many Ukrainian cities. There are direct buses to Donetsk, Kharkiv, Berdiansk, Mariupol, etc. The nearest airport is located 12 kilometers from the city center, located in Sievierodonetsk. Built in 1968 the airport is to serve residents and workers of the surrounding cities. The airport is administered by the Lysychansk District pipeline OAO Ukrtransnafta. Kliment Voroshilov - Marshal of the Soviet Union, Hero of the Soviet Union, the Politburo Central Committee, President of the Supreme Soviet of the USSR | Presidium of the Supreme Soviet of the USSR. Volodymyr Sosiura - Ukrainian poet. Dmitry Lalenkov - Honored actor theater and film. Kuzema Vadim - author and performer of songs in the style of Russian chanson, nominee of the prize "Chanson, in 2006." Igor Sergeyev - Ministry of Defense of Russia | Russian Defense Minister from 1997–2001, Marshal of the Russian Federation. Nicholas Chuzhikov - Olympic rowing champion. Next to the SBU building. ^ "weather.com". weather.com. Retrieved 7 January 2013. ^ "Climate figures". World Weather Information Service. Retrieved 18 January 2013. ^ "Ukraine conflict: Air strikes 'hit Luhansk targets' - BBC News". Bbc.com. Retrieved 2015-05-19. ^ "Police help Kremlin-backed insurgents in Luhansk Oblast's Lysychansk". Kyivpost.com. 2014-05-24. Retrieved 2015-05-19. ^ "Terrorists fleeing from Severodonetsk and Lysychansk - media| Ukrinform". Ukrinform.ua. 2014-07-22. Retrieved 2015-05-19. ^ "TASS: World - Ukraine troops continue attacks on Lisichansk — Luhansk militia commander". En.itar-tass.com. Retrieved 2015-05-19. ^ "Ukrainian National Guard cleansing Severodonetsk, Lysychansk of militants". En.interfax.com.ua. 2014-07-23. Retrieved 2015-05-19. ^ "Ukraine Votes to Call Up More Reservists". Voanews.com. 2014-07-22. Retrieved 2015-05-19. ^ Marson, James (2014-07-24). "Ukraine President Petro Poroshenko Welcomes Breakup of Ruling Coalition - WSJ". Online.wsj.com. Retrieved 2015-05-19. ^ "Ukrainian troops enter Lysychansk". Kyivpost.com. 2014-07-24. Retrieved 2015-05-19. ^ Schwartz, Felicia (2014-07-25). "White House Says Putin 'Culpable' in Flight 17 Crash - WSJ". Online.wsj.com. Retrieved 2015-05-19. ^ "Cities & towns of Ukraine". Pop-stat.mashke.org. Retrieved 2015-05-19. ^ andrey ivchenko. "Донецкая складчатая область : фотографии Украины". Photoukraine.com. Retrieved 2015-05-19. ^ "Авиабилеты Авиатор". Aviator.net.ua. Retrieved 2015-05-19. ^ "Ukraine. Presidential Election 2010 | Electoral Geography 2.0". Electoralgeography.com. Retrieved 2015-05-19. ^ "Ukraine. Presidential Election 2004 | Electoral Geography 2.0". Electoralgeography.com. 2010-03-09. Retrieved 2015-05-19. Wikimedia Commons has media related to Lysychansk. This page was last edited on 16 April 2019, at 18:37 (UTC).